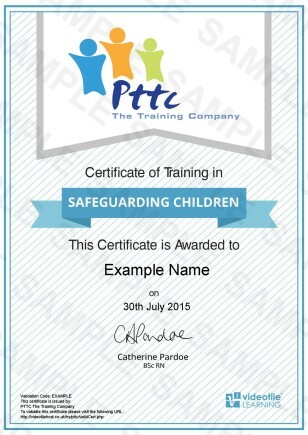 This on-line Safeguarding Children Training Course from PTTC E Learning is essential for anyone who has a duty of care for, or comes into contact with, children in need of care & support, either as a paid professional or volunteer. Its pointless buying a course & spending time learning, when it wont fit your purpose. So our Safeguarding Children Training Course is 100% fit for purpose and accredited by major players in the industry sectors, so you can rest assured you wont be wasting time or money with us! Who Is This Safeguarding Children Training Course For? Why Do You Need Safeguarding Children Training? Our Fully Accredited and Industry Approved On-line Safeguarding Children Training Course is aimed at anyone that may come into contact with Asbestos within their day to day duties at work. This module will take you through an introduction of the course, key definition, who is responsible for safeguarding & what safeguarding actually is. In this module we will go through what abuse is, physical abuse, bullying, emotional, psychological, sexual abuse, neglect & why children don’t tell. This module is all about recognising the signs of abuse in children. This module will explain how to react & what you should do if you suspect a child or children have been abused. This module will take you through the key pieces of legislation that are in place to protect children from harm. This course complies with the training requirements for our Online Safeguarding Children Training Course. It also complies with the Care Act 2014, and it will provides you and your team with a cost effective training solution as well as being one of the best groundings in this subject area for a fraction of the price of other courses. By learning online with us at PTTC The E Learning Training Company, the main outcome of this Safeguarding Children Training Course is to provide you or your team members with a recognised qualification, and the knowledge and awareness of how to better Safeguard and Protect Children in your care, and knowing the necessary precautions to take to keep people safe, protected and what to do if you suspect abuse. Once you or your team members have successfully completed the course you can simply download the certificate. If you are not sure if our Online Safeguarding Children Training Course is the right course for you, or if you’re a bit dubious as to the quality of our training course will be what you’re expecting why not try one module of the course of your choice inc the assessment FOR FREE . This will give you a free chance to experience hands on our on-line learning environment. To get a Free Trial Just click on the ‘Free Trial Logo & follow the video instructions to access the online learning area. Once you have trialled the module you will then be given the option to purchase & continue with your course! Our On-Line Safeguarding Children Training Course has 75 minutes of video to watch, and 24 questions to answer. We estimate that the course should take you no more than 1.5 hours to complete. If you want to do it over a number of days then that’s fine, the system will remember where you left off and you can go back to it at exactly that point. The simple answer to this is yes, our Safeguarding Children Training Course is, the course is CPD Certified (Continued Professional Development) so you can rest assured that this course will meet your needs if you are looking for a competent introduction to the Safeguarding Children Training Course. There no problem with that, with our system you get 3 chances as standard to take and successfully pass the Safeguarding Children Training Course. If you are still unsuccessful at that stage, then just drop us a line and we will provide you with 3 further attempts free of charge. Once you have watched the 18 video lessons and successfully answered the 24 questions, gaining a average 75% average pass rate you can then simply download and print off your Certified CPD Safeguarding Children Training Course certificate. This type of training gives lifelong knowledge & skill, however there is a legal requirement in certain sectors to refresh the Safeguarding Children Training Course. It is recommended that this training is refreshed at least every 12 months, however like any skill or knowledge we learn memories fade over time especially if we don’t use those skills. So, you can always come back again if you wanted to and refresh your skills and update your knowledge by purchasing and completing the course again. That’s easy as well. You can pay for your Safeguarding Children Training Course online with your credit card, debit card, or PayPal. However sadly we no longer accept cheques, sheep, horses, or gold.